Description: "Thank god, she survived." Gurnara Tshakavalivi on the porch of her sister Lilli complete destroyed house. Caption: "Thank god, she survived." 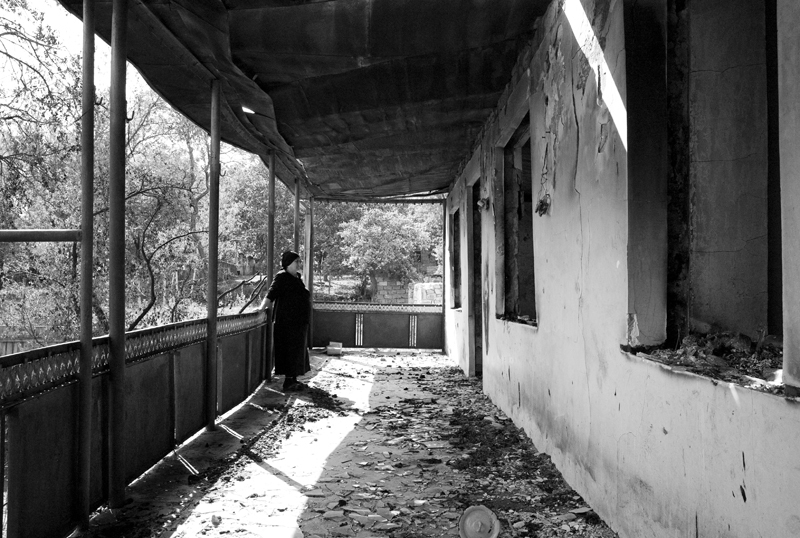 Gurnara Tshakavalivi on the porch of her sister Lilli complete destroyed house.